We installed a System 2000 in Feb of 2015. It replaced a Weil McLain (sp?) 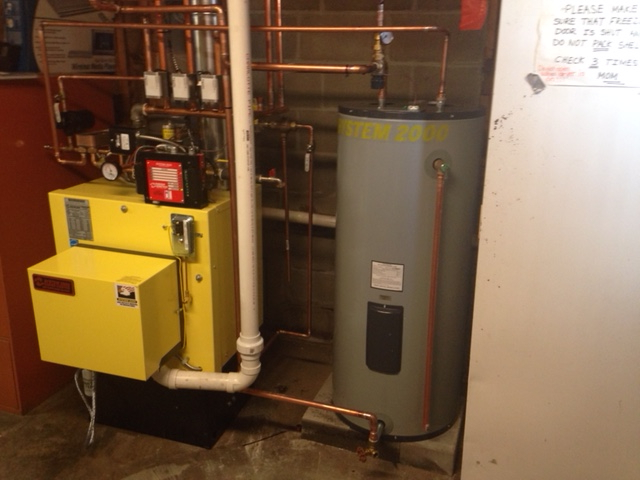 wet base tankless boiler. We have not been able to get the room temperature up to 68 when it is cold (10 F or below) with this system. We have 2 rooms that rely on heat from the other rooms and the old system handled it with no problems. The system 2000 struggles to get the house to 64 when the thermostat is set to 72. Here are my thoughts on the problem. Please let me know if this makes sense or give me some other ideas. The nozzel is undersized limiting the fuel burn rate. The old system was oversized and the fuel orfice was selected for the volume of space to heat. The circulators are not large enough. The old system had big (1/4 HP circulators) My thought is that the existing circulators cannot pump the water fast enough and the temp drop too big. Another idea is that the boiler capacity is too small vs. the old system and and the water temp is too low to start with. My installer's answer is to add more base board to the unheated rooms but if the old system worked why cannot mt $10000 system 2000 do the same job. It may be more efficient but it does not supply the required heating. You got it. Enough BTUs from the fire, and hot enough water at high enough flow rate to get the energy from the fire into the house. It's that simple. You know what needs to be looked at. Increase water temp and/or firing rate before taking pipes apart. Since that's not a condensing boiler don't fret over running it hot. All you need is an installer that know what he is doing. Not sure you have that if he doesn't know what's wrong. You mentioned 3 possible problems, boiler capacity, water temperature and water flow. It could be one problem it could be 2 or 3 problems. What is the water temperature in the boiler when it is trying to heat?? There's no option to raise the limit temp on the EK Manager. The limit varies depending on the input from the return water temp sensor. If the boiler was sized correctly (EK-1?) , there should be no problem heating better the the WM. Is the Manager blinking any codes? The red LED bars never get to 160 F 120 to 140 is about max and the furnace runs almost continually. It go to a balmy 27 F outside today and the house did get to 69...bearable. The Control Manager is not blinking any codes. As long as it stays 25 +F outside it seems to be able to keep up. My oil co knew what ws there before they installed the System 2000. I am not home till April but my son is at the house. 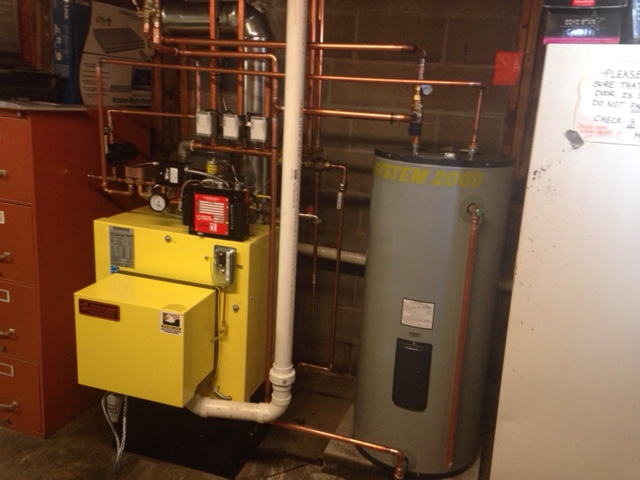 I do not know what size boiler they installed but theyare a huge regional company on the east coast. They stopped installing these systems due to parts availability. Am tempted to replace it with a cast iron wet base Weil McLain. > Am tempted to replace it with a cast iron wet base Weil McLain. If you're going in a different direction, at least look at a triple pass boiler. And I'll take the EK off your hands for $100 cash money. It's not the boiler's fault it sounds like incorrect installation or application or possibly too low of a firing rate. It would be interesting to see how it's piped, A competent dealer / installer should be able to correct the problem depending on which model you have. 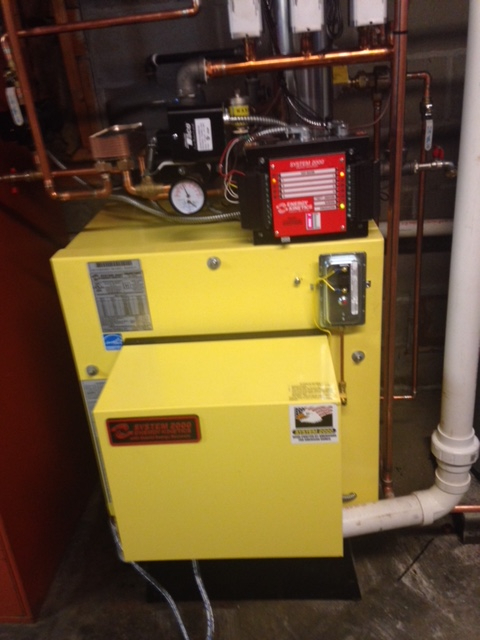 Energy kinetics boilers are rated at many different firing rates. The have very helpful tech support available to techs and installers. > It's not the boiler's fault it sounds like incorrect installation or application or possibly too low of a firing rate. It would be interesting to see how it's piped, A competent dealer / installer should be able to correct the problem depending on which model you have. Energy kinetics boilers are rated at many different firing rates. The have very helpful tech support available to techs and installers. Little rude, don't you think? Please be a little more professional. No reason why a properly sized System 2000 EK Frontier shouldn't perform even better than your old boiler. Boiler temp is regulated by the return water temp sensor through the Manager. Possible fault in the sensor? High limit (top left, near back of the boiler) is set to 215? Here are some pictures of the installation. Not sure how helpful they are. The room temp is now up to 69F after running almost continuously for 4 days and the outside temp getting all the way up to 28F. I am collecting all comments so I have some hard data available when I talk to my oil company. Thanks to everyone and keep the comments coming. I like to be somewhat knowledgeable about a topic if I mam going to get into a technical discussion so I can asses the validity of what i am being told / sold!! I emailed Energy Kinetics about my problem and I have to say that they actually gave me some "customere service" as it was intended. I got to speak with an actual person who at least understood my question and spoke English....not Chinglish. I got a reply to my later email with in a couple of hours with two possible solutions.....set option switch 9 to on which increases the return temp by 20F and increase the orifice from .85 GPM to 1.0 GPM. I changed the switch position and that seemed to help alot. I did not have an orifice laying around so will leave that to the tech. This was one of the few customer service contacts that actually met my expectations. Calling it an orifice and not a nozzle, means you should leave everything to the tech. Or maybe you were talking Chinglish. I have a System 2000 also and am having the same problem. I turn the thermostat up from 60 degrees at night to 68 in the A.M and during the cold spell the last few days, the temp in the house didn't get above 64 - 65 degrees. That's with the circulator running 24/7 and the burner coming on for 4 - 5 mins, shutting off and coming on again 9 - 10 mins later and on and on. I now leave the thermostat at 65 degrees 24/7 and, by running constantly, the unit eventually got the house up to that temp. (I have a 24' X 34' cape with 7' ceilings, insulation, and new energy efficient windows). I'm thinking of setting dip switch 9 to On. It's described as supplying higher temperature water to under-radiated heating zones (not my problem) or during very cold weather (my problem). This setting is described as "170 / 155 F with SmartBoost to 190 / 175 F as required" (the numbers are degrees). Anyone know what this means and whether or not I should try it? Ah... an 8 degree setback in the weather we had been having this past week? That's at least 5 degrees too much. It's a wonder it recovered at all. The cycling which you are seeing indicates you do not have enough radiating capacity; this may not be "your" problem (though I'm not sure why -- it's your house), but it surely is one of the main problems. Higher temperature water from the smart boost will help, but at the expense of efficiency of the boiler. Thanks for all your comments - sorry for the delay in my response. 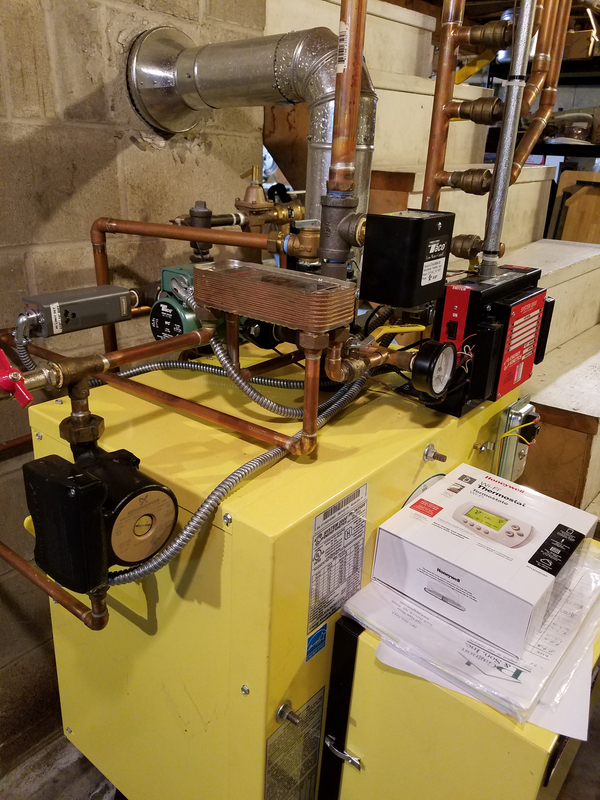 When a zone (or house) is not warm enough or not keeping up with the thermostat set point, the first question we like to ask is if the burner is running 24/7 without stopping. If the burner runs continuously, this means the boiler cannot output enough BTUs. If the burner ever cycles off, then the radiation cannot take out all the BTUs (heat) the boiler is making; this means the radiation is "under sized" for the load. As it gets colder out, the load increases, so the radiation may be adequate at one outdoor temperature, but not enough when it's colder. By far the most common situation is not enough radiation during cold weather (the burner cycles on and off). To increase the heat output in the radiation, you can turn ON option switch 9 (SmartBoost in newer systems) as mentioned above - this raises the boiler operating temperature and boosts the output of the radiation. This has a minimal impact on System 2000 boiler efficiency as much of the savings comes from the thermal purge at the end of the call. If this is still not enough, adding more fin tube or radiation is a solution. Reducing or eliminating night setback when it is coldest out can help as well as it takes less energy to maintain temperature in a building than to increase the temperature. If the burner does not turn off during the continuous thermostat call, this means that the radiation can take out all of the BTUs that he boiler can make. This is very unusual, although increasing the firing rate within the rating of the boiler is a solution. I hope this helps keep more homes warm and cozy during our "bomb cyclone" weather pattern and future cold spells. That's an interesting observation. The existing registers were adequate for 40 years. Can you help me understand why you feel insufficient registers is the problem? @teablender @Roger explained it perfectly. Don't blame the boiler. Do a heat loss on your home, install enough baseboard to offset that heat loss. Install a boiler that matches the heat loss. It's as simple as that. Skip a step? Then it may not work. Thank you @EBEBRATT-Ed and @teablender. @teablender, you mentioned you might try turning on option switch 9 in your post. This allows the boiler to run hotter which will boost the heat output of the baseboard. Please try this as it can increase the baseboard heat output by up to 25% or over 100 BTU/ft of fin tube. It is possible that your prior boiler was set to run at higher temperatures, having a similar effect on increasing the output of the baseboard as option switch 9. I suspect this will work well in your case as you mentioned in your post that you can maintain 65°F with switch 9 off. For reference, some site specific conditions can reduce the output of the baseboard. If the louvers are closed, plush new wall to wall carpeting and padding is installed, dust builds up on the fin tube, or furniture or anything else blocks or reduces the airflow across the fins, it can substantially reduce heat output. As an additional point of reference regarding the sizing of your particular boiler, since the burner fires for 5 minutes and is off for 10 minutes, that means it is only on for 1/3 of the time. Effectively it has 3 times the capacity as your connected baseboard so the firing rate is not the problem. 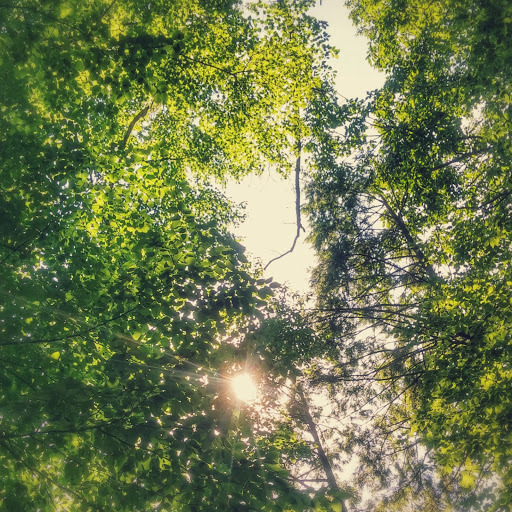 @teablender -- you have the answers to your problems up there. Before the change, you were able to heat things up as you wanted. Therefore there is enough radiation. The new boiler only runs about a third of the time. Therefore there is enough boiler. What's left? Water temperature. Find -- or have your installer find -- some way to bring the water temperature up. It's in the controls for that boiler. Radiation output increases almost linearly with temperature. Wow!! Thank you all for these very informative comments. I very much appreciate your input and I have a better understanding of how things work. I did also send this issue to Energy Kinetics in an email. The regional rep has already replied and we will talk soon. Because of your advice and comments I will hopefully have a more knowledgeable conversation with the rep. Will post any recommendations/results when I have them. Of course it's 45 degs here today so I will have to wait for another cold spell to test any recommendations. You're welcome. All of our territory managers are very knowledgeable and I'm sure he will help to find out more about your specific application and explore solutions with you and your heating professional. Since turning the option switch position 9 to the "ON" position the house now gets to 68 to 70 F which is acceptable. 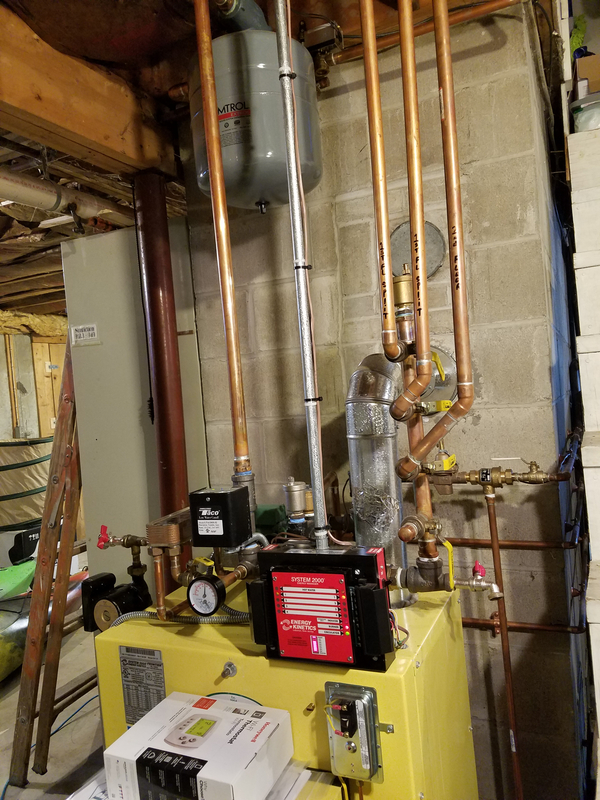 The old system..Wiel McLain wet base tankless system had no problems keeping the house at 70+ degrees no mater how cold outside.....but the boiler temp never got below 165 F because of the hot water demand. Option switch 9 increases the output temp and really did help. 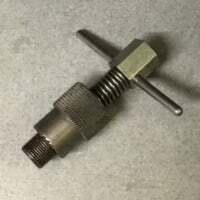 I have the second option available .....increase the nozzle size from .85 GPM to 1.0 GPM. both sacrifice some efficiency but comfort is the primary goal and adding more baseboard radiators is fairly expensive with a multi year payback. Try switch 9 first....you can do it yourself ...and see what happens. Regarding changing the nozzle size. I have experienced issues with using a nozzle larger than .85. The size of the chimney/vent must be taken into consideration to avoid having positive pressure in the combination chamber. I absolutely love these boilers, reliable, efficient and easy to work on. But they must be installed and set up correctly. If you can stay comfortable and the boiler does it's job with the .85 nozzle keep it that way. Follow up from Teablender. Back in January, two Energy Kinetics reps and one person from the company that installed our System 2000 come to check the system out. Unfortunately they didn't let us know they were coming so I wasn't home but fortunately my wife had just arrived home. After looking things over, they recommended (1) installing a different circulator, (2) installing a different air scoop (can't remember what they called it), and adding more solution and draining the system to eliminate iron or ferrous oxide (rust?) that was still in the system. This was the original problem they worked on shortly after the system was installed and exhibited itself via "gurgling" sounds. I asked them why, shortly after the burner starts up, it sounds like a jet engine (slight exaggeration) but didn't get an answer. Thus far, the installer hasn't contacted us so I will update this site when the improvements have been completed. I have just had rotator cuff surgery so I'm sleeping in a recliner on the first floor and so was very aware of the following; last night the outside temp was down to about 14 degs, the thermostat was set to 66 and the burner came on about every 10 minutes and the circulator ran continuously. It had been set to 69 during the day before. Will report back when I have more. Very interesting. I would like to know what the model number of the circulator pump they recommend is. Also I would like to know what they recommend as an air elimination device. The EK1 comes with all the near boiler piping, including the pump (taco 007) and air vent. Of course I usually like to see either a air scoop with a vent on top of it on the supply piping. Or even better a Spirovent. Rust in the boiler? Are your heat emmiters old cast iron radiators? If so then your installer should have properly drained, flushed and sanitized the radiators and plumbing in preparation for the installation. The the boiler water should have been treated with 3in1 boiler treatment. When the EK-1 Frontier runs, especially with the 2" combustion air hard piped like it is, it's virtually silent. I've never had complaints of loud burner operation from clients and I maintain numerous Frontier 1,2 and 3 boilers weekly. As far as the gurgling sound, if the piping wasn't properly flushed it could have clogged the 3/4" Hy-Vent. It looks like a quality installation though. With colder than design day temps, you can remove the red wire from the return water temp sensor at the manager (left side, 2nd up from the bottom) and lower the high limit to 180 degrees (left side, top rear of boiler). Just remember to put it back the way it was when outside temps climb. And Mom says make sure the freezer is closed. Thanks again for the comments/suggestions. The previous boiler was a Weil Mclean and had been leaking from the inside which is what I was told caused the rust. After the installation and after the "gurgling" started , the installer flushed the system several times and added some kind of treatment more than once. Eventually the "gurgling" went away but is now back. The burner starts up for about 10 seconds and then the "jet engine" noise starts and continues until the burner shuts off. 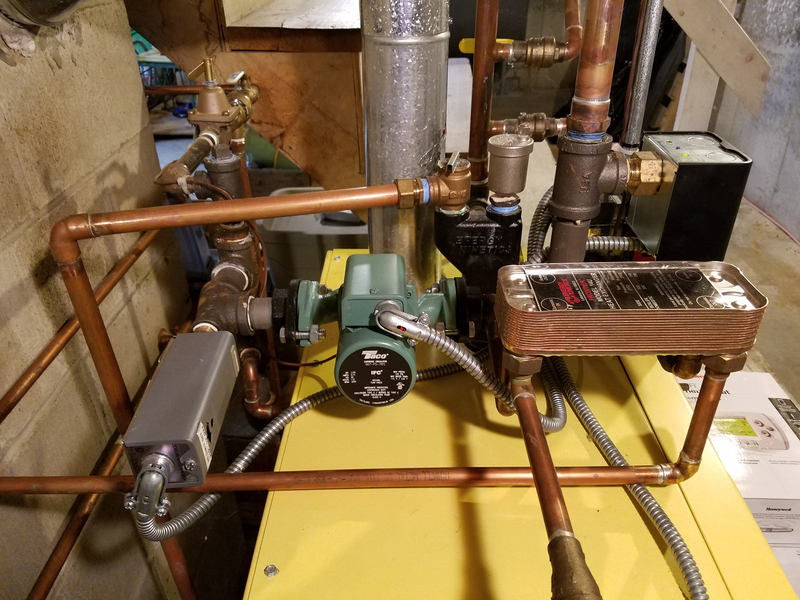 The existing circulator is a Taco Cartridge Circulator 007-F5-7IFC and the air scoop is an Amtrol Air Purger with an Amtrol Extrol Air Expansion Tank which is located on the supply pipe coming out of the boiler going to the zones. The first floor zone has a short section of pex piping feeding a toe kick heater in the kitchen. The rest of the system is copper. I believe the Energy Kinetics rep recommended replacing the existing air scoop with a Spirovent, but I'm not sure. For HVACNUT - I haven't provided any pictures of my installation if you were referring to those earlier in this thread?? Hear are three pictures of my configuration. If you can't access them please let me know or if you would like different ones, let me know. Thank you for your posts, teablender. From your noise description, it sounds like you have a build up of lime or minerals inside the boiler. This diagnosis also fits with the service that was performed. I’m sure the noise will go away once the water side of the boiler is properly cleaned. In the photo, I see the burner is on with the supply over 180F and the return above 170F, so if you’re not heating the zone adequately, it has to do with the amount of radiation (this temperature difference indicates adequate flow). If your prior boiler heated the zone differently, it was simply running at a higher temperature unless something changed with the ability of the radiation to emit heat. Regarding your question on the air vent, your Taco will vent very nicely in our dynamic air elimanator; our representative may have mentioned a Caleffi, which installs in the same location as the Taco (near the relief valve). I dont think there should be an IFC in the 007 with zone valves. Why are the zone valves up in the ceiling and not at the supply manifold? The Hy-Vent on the boiler was bushed down from 3/4 to 1/8. Should be 3/4. There's also a Hy-Vent at the top of the supply manifold and a second air scoop with a Hy-Vent on the return. A faulty float will introduce air into the system. The jet noise is baffling. From the pics, I can't see if your using outside combustion air, but lack of would not cause a jet noise unless there's some type of obstruction. Regardless, that needs to be addressed, and not by the guy who put the test hole in the flue under the foil tape. There is a test port to the left of the pressure switch, and one below the pressure switch for over fire tests. A specific insertion tool is offered by EK for over fire tests because the analyzer cannot handle over fire heat. Contact @Roger on his profile page or contact EK to see if there is a reputable EK service company in your area. Yes. Anyone who did combustion analysis through a hole in the flue doesn't sound very competent. The only reason to have a hole there on a EK-1 Frontier is for smoke testing. And the smoke pipe should never have any tape on it. All burner adjustment need to be made based upon combustion testing performed through the over fire port, which is what the puff swich is connected to. If you don't have the special EK attachment for your analyzer you can still get the job done by attaching 14-18" piece of 1/4" copper tubing (or even better, steel brake line tubing) to the end of your analyzer with a piece of rubber hose like you use on a manometer. Or a piece of pressure switch tubing can be used to attach the tubing as well. I have never heard a EK boiler sound anything like a jet, with or without the outdoor combustion air piping installed. I have worked on a lot of EK boilers, both oil and gas and they are much less noisy than the majority of boilers. Frankly, if yours sounds like a jet I would begin to question the safety of it's operation. I think the EK-1 frontier is one of finest oil fired boilers you can get. I would put one in my own house in a heartbeat. I'm sure with a little help from the right technician you should be able to get that boiler to do a great job for you. But proper installation and set up is the most important thing and it sounds like you have some parts of your system that aren't done in the usual manner. Thanks again everyone for your advice. My next step is to schedule a meeting with the owner of the installation company and discuss all this with him. I know they want to resolve these issues so I'm confident we'll eventually get this fixed. I need clarification. Mitch, are you the second Energy Kinetics (EK) person who came to our home mid- January? If so, can you please tell me who was here from the Installation Company (IC) so that I can contact him directly? I asked the same question of the other EK rep who came that day via email but haven't had a response yet. I want to talk to the IC guy before I contact the owner. Yes, I was at your home with our territory manager and your installer. We are working closely with your installer to schedule a follow up site visit. I will message you with the contact information you requested.